General Superintendent Arnold Randall announced the masterplan Saturday at Camp Sullivan, one of the new campground sites promoted in the report. Now the Forest Preserve District of Cook County is encouraging camping again with a new campground masterplan, which is meant to foster appreciation for the natural areas in Chicago’s backyard — especially among those who now travel out of state for a taste of nature, or those who might not otherwise experience it at all. The Forest Preserve’s board of commissioners approved the masterplan Tuesday, but the process of drafting it started more than a year ago. After soliciting public feedback and convening focus groups, the District selected eight potential sites for camping. 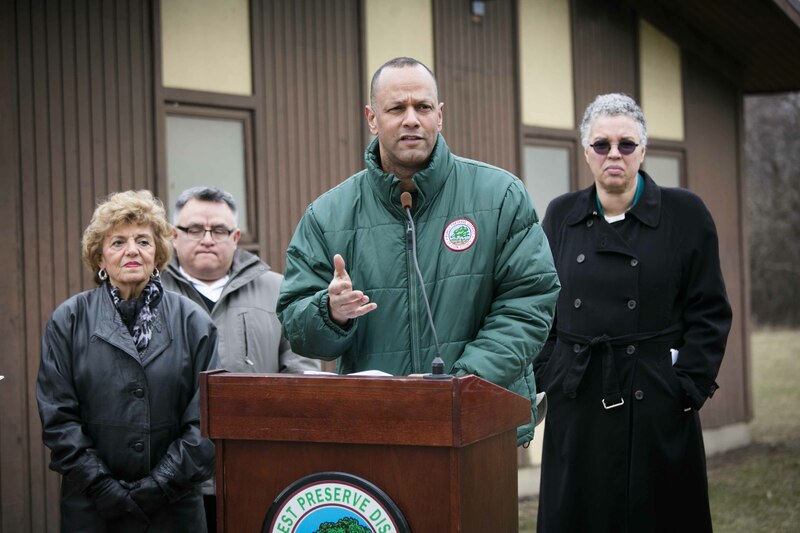 They include three new sites — Shabonna Woods in South Holland; Bullfrog Lake / Pulaski Woods in Willow Springs; and Camp Pine Woods in Northbrook — and a revitalization of existing Camps Reinberg and Sullivan. The plan also calls for more modest investment in secondary sties at Camp Kiwanis and along the Chicago and Des Plaines Rivers on the North Shore. The plans are just concepts now. Architectural and engineering work will flesh out the actual site details — campsites won’t be open until 2014 — but the goal is to make the programs revenue-neutral. The District will likely collect user fees and devote that money to maintaining the sites.